A Versatile Academy Bringing Together The Practical And Realistic Martial Arts of Muay-Thai KickBoxing And Brazilian Jiu-Jitsu While Reinforcing A Positive Atmosphere Free of Egos. While Other Gyms Tend To Focus Primarily On Their Fighters And Top Athletes, Invictus, Has Always Focused On Being The Alternative. The Academy For Career People; Those That Want Real Training But Due To Other Commitments In Life Cannot Afford To Get Injured By Over Zealous Training Partners Trying To Make A Name. For This Reason, We Have Shaped Our Academy Into Being One Of The Most Welcoming And Supportive In Albuquerque. In The Keeping With The Nature Of Convenience, Support And Transparency, Below You Can See all Of Our Pricing, Discounts and Packages For Your Convenience. 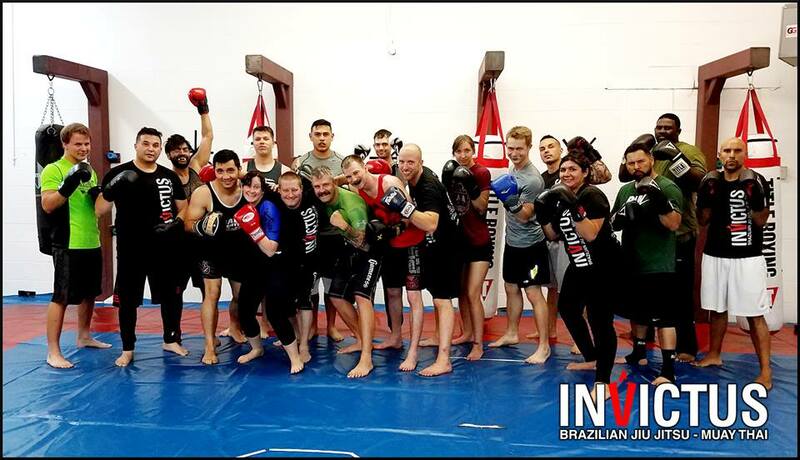 Invictus Pricing is Based On Two Tiers: A Single Program Membership (Muay-Thai Kickboxing Or BJJ) Or Both Programs Together Unlimited! Below Are The Variety Of Discounts That Can Be Applied To Any Of Our Memberships Listed Above, Including Family Packages!